Google's launched Android One in 2014. In 2017 it's launched Android Go. Will it succeed in developing markets? Google's much touted Android One program launched back in 2014 in India hasn't tasted much success. Google isn't giving up though. At the 2017 edition of Google I/O. the company made many announcements that ranged from the next version of its Android operating system to Google Lens. For those in developing countries, there was one major announcement - Android Go. Google is once again attempting to make budget Android phones for developing markets great again. When Google launched Android One launched in June of 2014, they were mainly targeting "the next billion," and promising a uniformly 'decent' experience on low-end Android-powered devices. This coincided with Android Kitkat. Now, Android has launched Android O and with it, thy are trying to revolutionise low-end smartphones once again. With 2 billion Android devices in use around the world, Google is targeting the next two billion consumers. Think of it as being as far away from a Google Pixel as possible. 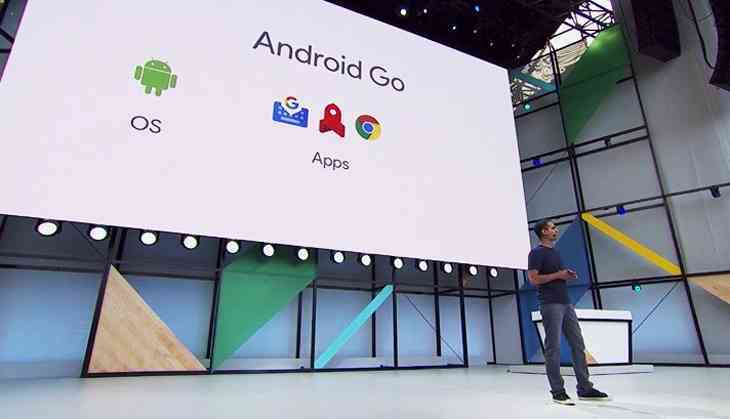 While Android One was the reference platform for other device makers, Android Go is a platform. It's a lighter version of Android O that aims to bring a smooth experience to low-cost phones. Specifically, those phones with just 512MB or 1GB of RAM. Android One was designed to put the latest iteration of Android on devices costing $100 or less. In a market like India, it failed, mainly because manufacturers couldn't make any money just by selling the hardware. Whilst there was no announcement of Android One at Google I/O, Sameer Samat, a Google executive, said that the program will continue albeit by dropping the $100 price point. Most manufacturers have shied away from putting the latest version of Android on low-end phones as they cost a lot of money. Android Go, according to Samat, will convince the manufacturers to cross the hurdle and include the latest version in newer smartphones. Google hasn't yet announced any partners for Android Go yet. Less data, less memory, less everything? There will be a data management tool included in the quick settings. This will show the user exactly how much data they have left and will offer them the option to top up with the carrier straight from there. An optimised version of Chrome will also be present in which Google's existing 'data-saver feature' will be turned on by default. It'll probably look a lot like the recently launched Moto C budget phones. Apps will be optimised for low memory and bandwidth and a version of the Google Play Store highlighting these apps will come with it. “Building for Billions” (https://developers.google.com/billions/) has also been launched for developers to create these new optimised apps. Google's Building For Billions website recommends developers pay attention to a few things; app size, performance on slow connections, localisation and battery efficiency. A few months ago, we got a glimpse of the first one, YouTube Go. YouTube Go will give you the option to select the quality of the video before the video begins and once on Wi-Fi, you can download the video and watch it later. If you're watching a video with a friend, you can share that video between Android Go devices using peer-to-peer transfers without having to eat up any data. Android Go will not just start and stop with Android O. There will be Android Go for all future versions of Android going forward. The push towards better low-cost phones is a necessity as there are more Android users in India and Brazil than in the USA. In India, the high cost of mobile data is a barrier to entry for consumers planning on buying smartphones. The main reason to launch Android Go is to address the problem of low-end devices not getting frequent security and feature updates, The first phones featuring Android Go will appear in 2018. Everyone in india is hoping that Android Go doesn't go the way of Android One. Android Go is a first-time smartphone users dream - latest version of Android costing very little and smoothly operating apps. The hope is that manufacturers get on board and adhere to the core of what Android Go is. Devices should be released regularly and not for an inflated price and updates should be timely. Google needs to convince these manufacturers to create near stock versions of Android and if it does, the next two billion smartphones might just be Android users. TWEET THIS #AndroidGo: Google's relaunched Android One programme. This time the focus is on software and not hardware Google's launched Android One in 2014. In 2017 it's launched Android Go. Will it succeed in developing markets?